Change up your hotel gym workout with this 24-minute treadmill circuit. We all know how challenging it can be to exercise during travel. By the end of the day, you feel tired and may have a hard time motivating yourself to go workout. Or, you may have the desire to workout, but feel torn between finishing work and exercising. Another challenge may be the actual hotel gym itself. Chain hotels in smaller towns or away from the downtown area are typically limited in size and equipment options in the fitness room. Excuses aside, running has many benefits for road warriors including increased productivity and reduced stress. Regardless of the size of the hotel fitness center, the one guarantee in a hotel gym is a treadmill. 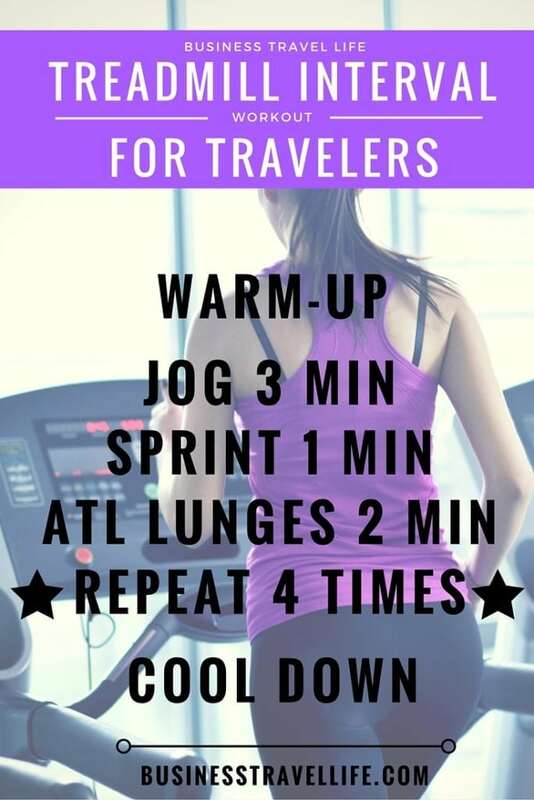 We have created this short, but intense treadmill workout that you can easily fit into your next trip. And, if you refuse to go into the hotel gym and cannot run outside, look for hotels that will put the treadmill in your room. The treadmill (aka dreadmill) does not have to make you feel like a hamster on a wheel. In fact, if you can read a magazine while you are on the treadmill, you probably need to increase your intensity. Interval training is a great way to accomplish more in less time. According to Greatist.com, studies show High-Intensity Interval Training (HIIT) for 27 minutes, three times per week produces the same aerobic and anaerobic improvement as 60 minutes of steady state cardio five days per week. Change up your hotel gym workout routine with this fat burning treadmill circuit. Start with by warming up with a brisk walk or light jog on the treadmill. Cool down with a brisk walk. Challenge yourself by increasing the incline with each circuit. What is your favorite fat burning hotel gym workout? 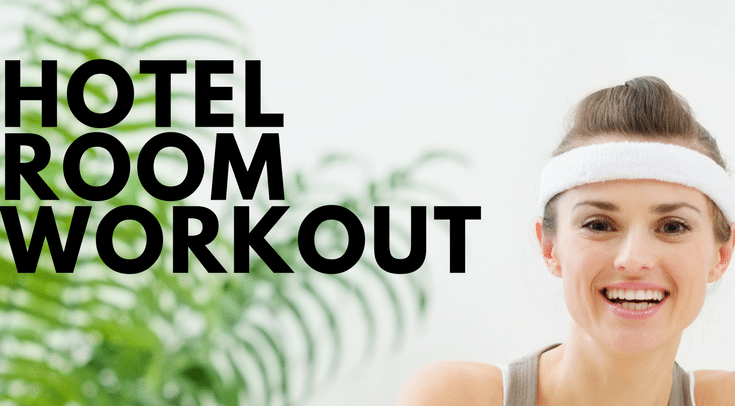 If you are interested in a custom hotel workout, we can help. We provide hotel workout routines that are customized for you and the hotel that you will be staying at. If you need more help learning how to exercise or would like encouragement along the way, we offer Virtual Personal Training . 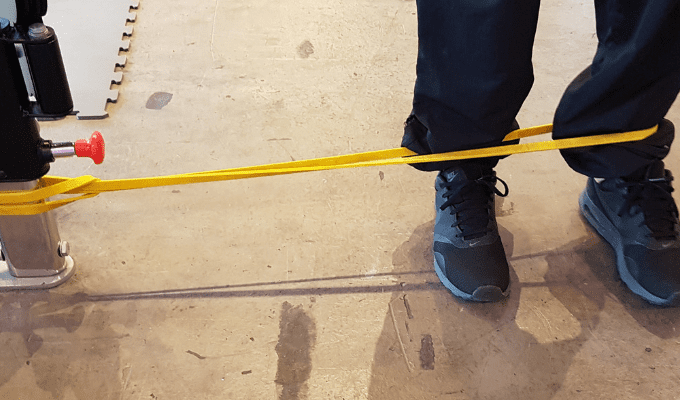 Our trainer can work with you one-on-one from any location! Contact us today to learn more.